Tennis tennis tennis... I love tennis, me. Particularly Wimbledon, of course. Us Brits spend all of the Wimbledon fortnight every year singing the national anthem, wearing Union Flag bunting and eating kilo after kilo of strawberries. 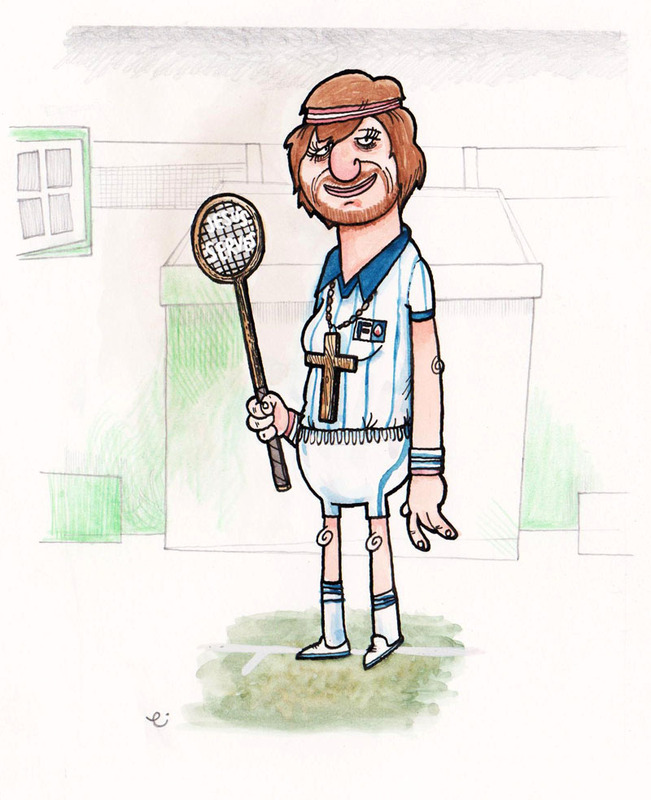 To celebrate, I am assembling a gallery of some of the greats of the game, dressed as other ones. Today it's 24-time Grand Slam tournament winner Margaret Court dressed as 11-time Grand Slam tournament winner Björn Borg.